There&apos;s nothing quite like fall in Hendricks County! If you&apos;re planning a visit for the weekend of Sept. 23-25, you&apos;ll arrive right in the middle of some of the best fall fun in Central Indiana. You can enjoy the beauty of fall, try some delicious food and experience the charm of small-town living. Need some guidance? Here&apos;s what I recommend checking out this weekend. You may notice a historic theme. If you can make it into town on Friday, you won&apos;t want to miss being a part of history! The Indiana Bicentennial Torch will pass through Hendricks County, and of course we&apos;ve got some awesome activities planned for the Hendricks County Bicentennial Torch Relay presented by Duke Energy. I recommend checking out the Bicentennial Experience mobile museum when it stops at the Hendricks County Courthouse Square in Danville. It&apos;s an interactive experience where you can explore all of Indiana&apos;s rich history, natural resources and important people from our state. It and the Hendricks County Historical Museum will be open from 9 a.m. to 1 p.m. that day in Danville. The torch will begin the day at 9 a.m. with a ceremony at Lucas Oil Raceway in Brownsburg and travel through Avon on its way to Danville for a ceremony on the square around 10:15 a.m. and then onto Plainfield before being passed off to Morgan County at 1 p.m. It&apos;s a perfect day for history buffs of all ages! One way to keep that nostalgia going is by traveling back in time on Saturday while enjoying a hearty breakfast at the Oasis Diner. This historic spot is a local favorite that has the look and feel of an old diner -- probably because it&apos;s been a Plainfield staple since 1954! 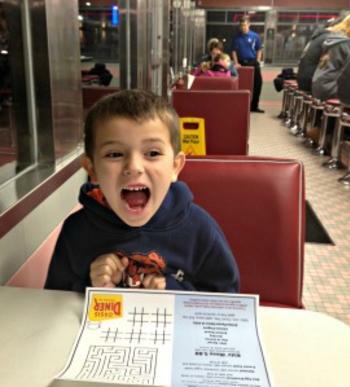 If you decide to sleep in a little, don&apos;t worry; the Oasis Diner serves breakfast all day. You can then continue to celebrate history by participating in The Avon Community Heritage Festival on Saturday. This event has everything you want in a small-town festival: yummy treats, shopping, live music, a talent show, kid&apos;s zone, parade and fireworks. The activities last all day from 10 a.m. to 9 p.m. This is a great way to enjoy the gorgeous fall weather, and there&apos;s something for everyone in the family to enjoy. While you&apos;re in Avon, you won&apos;t want to miss the authentic Greek food at Opa! Their menu has all of your Mediterranean favorites, with ingredients that are flown in directly from Greece. The atmosphere makes it feel like you&apos;re dining abroad, and on nice days, outdoor seating is also available. I highly recommend the gyro, and be sure to get some baklava for dessert! 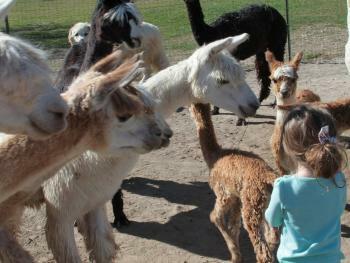 If you&apos;re lucky enough to be in Hendricks County on National Alpaca Farm Day, then you have to make the trip to Montrose Farms in Brownsburg. For only $2, you can tour the farm, see a spinning demonstration, There will also be local goods for sale, history about the farm and land and wine from Chateau Thomas Winery. Be sure to have your picture taken in the Alpaca Photo Booth! Dawson&apos;s Too! is one of the most popular restaurants in Brownsburg, and would be my recommendation for dinner. Their menu has a wide array of options, and every one of them is delicious and fresh. Their perfectly aged steaks are a delicacy! Saturday night is also the perfect time to try their prime rib. If you&apos;re interested in lighter fare, they also have delicious salad and seafood options. 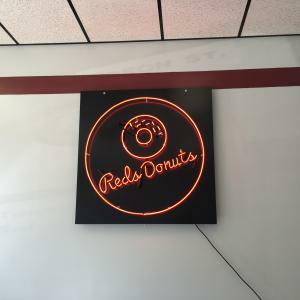 Red&apos;s Donuts is a new addition to the Danville Courthouse Square, but it already has become one of our family&apos;s favorites that I would recommend to any visitor. If you love classic glazed yeast donuts, you&apos;ll want to get there early; they&apos;ve been known to run out because they&apos;re so popular! Red&apos;s also has amazing coffee if you need a little help waking up. One of our family&apos;s favorite things to do in the fall is check out the Prairie Maze at McCloud Nature Park. There&apos;s a different shape to the maze every year (this year it is a turtle), and we always enjoy trying to find our way through (and inevitably get lost). The beautiful fall colors make this a great time even if you get a little turned around. Be sure to grab a map from the Nature Center and see if you can beat the maze and then check out the rest of this wonderful nature preserve while you&apos;re there. You&apos;ll probably work up an appetite exploring the maze and park, so I recommend heading over to Perillo&apos;s Pizzeria in North Salem afterward. Perillo&apos;s is a family-owned and operated restaurant with amazing Italian food. The pizza is great of course, but I recommend the calzone. They&apos;re big enough to share! Perillo&apos;s doesn&apos;t take credit or debit cards, so be sure to bring cash along for your visit. They&apos;re open for lunch from 11 a.m. to 2 p.m. If you need accommodations for your weekend stay, be sure to check out our hotel guide. You can also view a full listing of events here. This itinerary offers you the full "Hendricks County experience," all in one weekend! However, if you&apos;re looking for even more fun things to do, download one of our virtual visitor guides. They are full of great information about all of the places to see and things to do in Hendricks County. With so many options for everyone, Hendricks County really is the perfect place for a fall getaway!